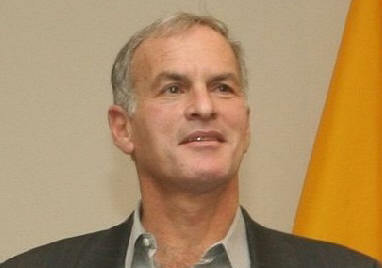 Allen Z. Hertz was senior adviser in Canada's Privy Council Office serving the Prime Minister and the federal cabinet. Earlier he was in the Foreign Affairs Department where he advised on intellectual property rights. He participated in treaty negotiations, including for the North American Free Trade Agreement (NAFTA), and represented Canada at the World Trade Organization (WTO) and the World Intellectual Property Organization (WIPO). He wrote the 1987 federal Green Paper on "Semiconductor Chip Protection in Canada" and was founding editor of "Computer Law: A Report for Business and the Professions." He taught history and law at universities in New York, Montreal, Toronto and Hong Kong. As an undergraduate he was at McGill University, and then did graduate work at Columbia University where he received an M.A. and a Ph.D., in history. Dr. Hertz also has international law degrees from Cambridge University and the University of Toronto. This letter to my Aunt Rita builds on my two 2009 Jerusalem Post articles, versions of which also appear on this website. Posted in January 2011, "When Does Criticizing Israel Become Anti-Semitic?" uses contemporary human-rights methodologies to explore the modern meaning of anti-Semitism. Most recently posted in February 2017, "Aboriginal Rights of the Jewish People" interprets Jewish history in the light of the political and legal doctrines of aboriginal rights and the self-determination of Peoples. As previously, the emphasis here is on the key principle of non-discrimination which is fundamental to human-rights methodologies and bedrock for understanding how to properly address matters pertaining to Jews, Judaism, the Jewish People and Israel. Jews partly to blame in the 1930s? My question to you about what you thought back in the 1930s assumed that you then already knew that Jews were having a hard time in Europe. I asked you what you then thought about that sad news, because I wanted to know whether at that time you ever imagined that Jews were perhaps partly to blame for the harsh treatment that they were getting from the Nazis. The reason I inquired was to make a telling point about the insidious and persistent nature of anti-Semitism. was prelude to killing 6 million Jews in the Holocaust. Always a reason for targeting Jews? In the minds of Jew-haters, there is always a psychologically plausible rationale for abusing Jews. 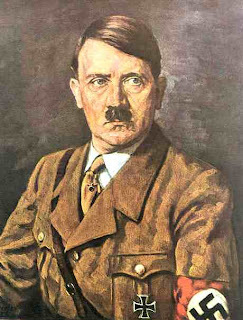 Back in the 1930s and 1940s the rationale was what Germany's leader Adolf Hitler regularly expressed in his mad ravings. 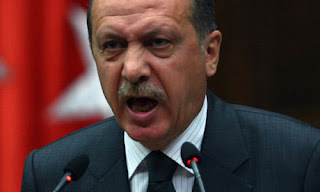 Today, the rationale is in the anti-Israel rants of Iran's President Mahmoud Ahmedinejad and Turkey's Prime Minister Recep Tayyip Erdogan. But you must know that Muslims have generally been despising and oppressing Jews for the last 1400 years. In fact, part of the proof of the continuous presence of Jews in the aboriginal Jewish homeland is the historical evidence showing that, from the Arab conquest in the first half of the 7th century CE, Jews there were victims of persistent discrimination and periodic persecution. seeks political gain via fanning Muslim hatred for Jews and Israel. Also tainting the minds of some Jews, anti-Semitism is simultaneously a toxic ideology and a mental disorder. Anti-Semites are emotionally predisposed to believe bad things about Jews, Judaism, the Jewish People and Israel. Anti-Semites are emotionally unable to discipline themselves to regularly apply to Jews, the Jewish People and Israel the identical standards regularly applied to other Peoples and countries, in the same or similar circumstances. This persistent discrimination is nourished by stubborn cognitive dissonance regarding Jewish history and peoplehood. The circumstance that the Jewish People has been under history's spotlight for more than two millennia does not deter anti-Semites from ambivalence or rejection with respect to key issues such as: the Jewish People's existence as a People like other Peoples; its political right to self-determination; and its aboriginal right to live safely in its historic homeland. There, in greater or lesser numbers, self-identified "Jews" have lived in each and every year since antiquity. Recent days again prove that there are some outspoken Jews whose minds have fallen prey to anti-Semitism. And how could it be otherwise? The larger Western and Muslim societies have for centuries been warped by an enduring discrimination against Judaism, Jews and the Jewish People that is one of the ideological foundation stones of both civilizations. Therefore I can understand why some Jews are themselves uncomfortable and discriminatory with regard to Jewish topics, including matters touching Israel. Whether consciously or not, their thinking is biased by the anti-Semitism that is almost everywhere around them. And, there have always been some Jews who seek substantial personal gain by ostentatiously attacking Judaism, Jews, the Jewish People and Israel. that focuses on attacking the Jewish People and Israel. Jews escape by betraying their own People? Some highly-placed French Jews of the 1930s and 1940s scorned their pitiful Jewish cousins from Eastern Europe. In fact, there were some elite French Jews who shared many of the anti-Semitic feelings of their Christian neighbours. But, that demonstration of Jewish solidarity with Christian prejudice did not save those snobbish French Jews from the Nazi gas chambers, as was discovered by a long-time Jewish friend of the Vichy French leader Marshall Philippe Pétain. Primed to believe bad things about Israel? Like some non-Jews, there are now Jews in Europe and North America strangely expert on the topic of "the many crimes" of Israel. But truth be told, Israel is a country like any number of other countries, though one now in a particularly tight situation. This recalls to mind the 1990s when Canada was in peril. Then, the international press had already given up on Canada which "smart talk" predicted would collapse in the face of Quebec separatism. What nonsense that turned out to be! But such faulty assessments occur when the media relentlessly push a skewed story line. By contrast, proper journalism requires fairness, including the presentation of relevant facts in a broad, horizontal context. Sad to say, fairness and a comparative optic are generally absent in reporting about Israel. This in itself is a manifestation of the tsunami of anti-Semitism now washing over Europe and the Mideast, but also with major impacts elsewhere. Israel linked to the Jewish People? The more than 6.5 million Jews living in Israel are now the world's single largest Jewish community. Israel's Jews steadily approach half of world Jewry and are 75% of that small country's total population. Worldwide, most Jews see Israel as "the Jewish State." This means that Jews generally regard Israel as their aboriginal homeland and as the political expression of Jewish self-determination as a People, among the world's Peoples. An approach based on modern human-rights methodologies would therefore understand the topic of Israel as inextricably linked to that of the Jewish People, which for close to 2,000 years has been an historically-victimized entity. Questions regarding the Jewish People and Israel deserve the same empathy and sensitivity normally accorded matters touching, e.g., Black Americans and the Aboriginal Peoples of Canada. The latter two populations are also instances of historically-victimized groups, which human-rights methodologies significantly identify as meriting: apology for deep historical wrongs; significant reparation; and enhanced protection in the form of extra vigilance against renewed attempts to re-victimize that same disadvantaged group. In the same way and to a similar (or greater) extent -- apology, reparation and extra vigilance are also owed to the Jewish People whose centuries-long sufferings have certainly been no less than that of Black Americans and the Aboriginal Peoples of Canada. Modern human-rights methodologies can therefore offer some criteria as starting points for crafting fair assessments of Israel. 1. Fair criticism is fine, but try to avoid "loose talk" likely to be discriminatory -- because Israel is home to the Jewish People, for close to two millennia a preeminent example of an historically-victimized population. 2. Anti-Israel words and deeds are prima facie suspect with reference to a chronic tendency to discriminate against Jews, which has been historically epidemic in Western and Islamic countries. 3. No other People has suffered more deeply than the Jewish People and no other People has greater entitlement to protection from the hate speech and evil-doing of racists, bigots and ideologues. 4. Because Jews, Judaism, and the Jewish People are owed fairness and sound social science, accusations require reasoned substantiation that must always apply to Israel standards identical to those regularly applied to other countries, in the same or similar circumstances. 5. The modern meaning of "anti-Semitism" includes persistently targeting Israel and persistently applying to Israel a more exigent standard than regularly applied to other countries, in the same or similar circumstances. Anti-Semites (including some Jews) invert the foregoing propositions. First, they are notoriously incautious with regard to their wild talk about Israel which they savagely attack on every possible occasion. Second, anti-Semites are emotionally disposed to instantly credit even the most improbable anti-Israel accusations. Third, anti-Semites regularly accord Jews, the Jewish People and Israel less protection than normally afforded other Peoples and countries. Fourth, anti-Semites consistently fail to regularly apply to Jews, the Jewish People and Israel, the identical standards regularly applied to other Peoples and countries, in the same or similar circumstances. And these are not trivial sins! No small country could easily survive the weight of such comprehensive and persistent discrimination. We in Canada ought to know this when we reflect on the endless lies separatists told about our great constitutional democracy. There was then a propaganda war against Canada, as today there is an even more dangerous campaign of discriminatory misinformation aimed at harming Israel and the Jewish People. If unchecked, this persistent discrimination could significantly contribute to the likelihood of Israel's defeat, probably resulting in the death or flight of the more than 6.5 million Jews there. Killing another 6 million Jews? Whether by Jews or non-Jews, such persistent discrimination is reprehensible beyond description! Dare we forget the Holocaust of the 1940s? And in centuries past, there were also many other large-scale attacks on Jews, whether by Christians in Europe or by Muslims in the Islamic lands. expresses hatred for the Jewish People and Israel. Is this "hate speech" prelude to killing the Jews there?